Everyone wants to know when will it open? The Masstown Butcher and Creamery has looked near completion for several weeks from the outside, even the parking lot is paved. 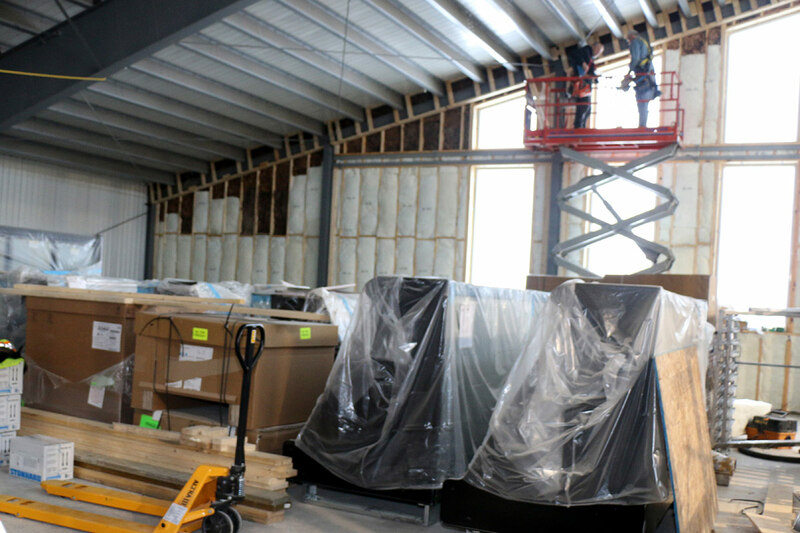 This photo shows the Butcher side with some of the insulated sections for the meat coolers. 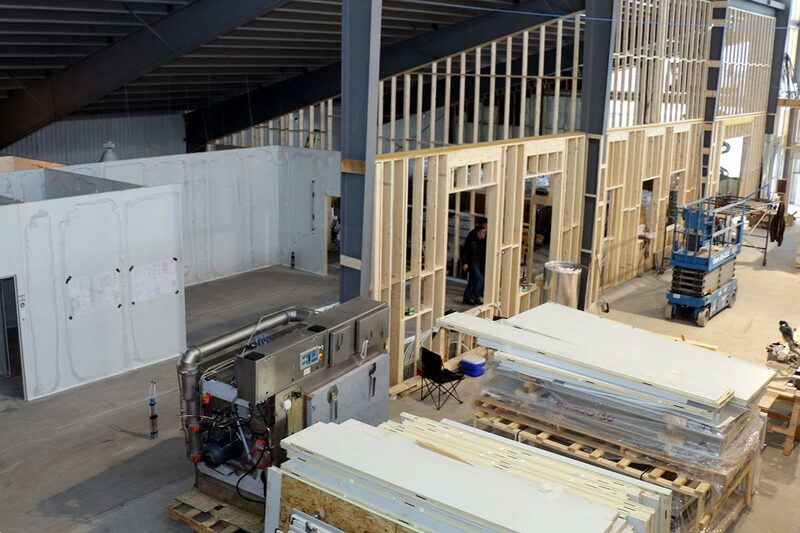 Inside there is a flurry of activity, as dozens of skilled workers continue with the installation of walls, floors and specialized equipment. Work continues at the front entrance to the new building. A few of the display cases can be seen in the foreground. The answer to when it will open…when everything is ready! 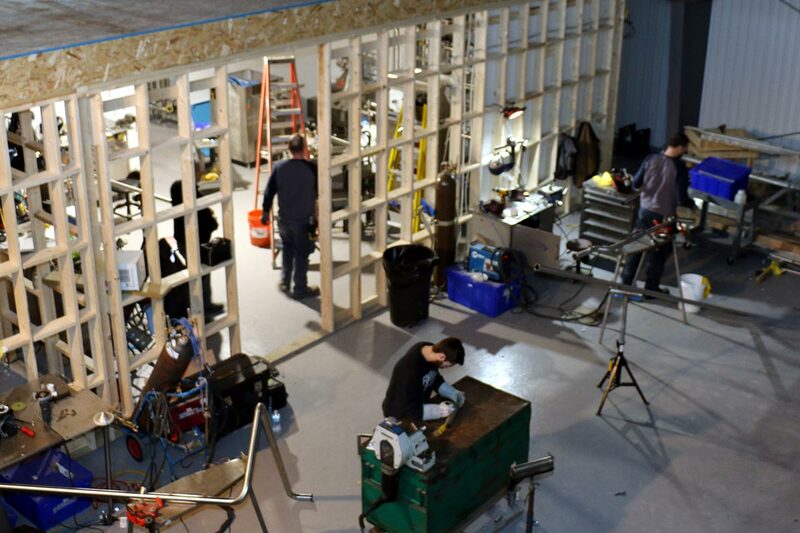 As you can see from these photos taken on January 23rd, the interior work is complex, and it takes time to get all the equipment installed but we are very excited and pleased to see how everything is coming together. 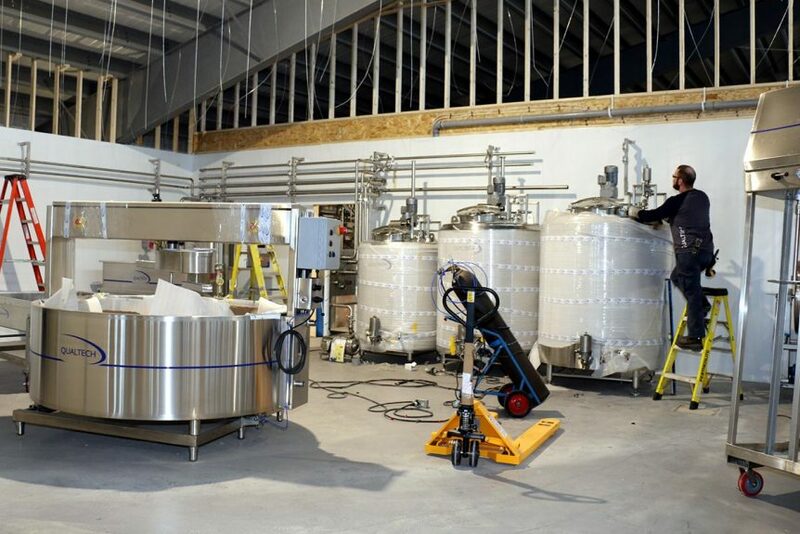 Over in the Creamery, the workmen are busy setting up and connecting equipment, with pipes and tubes cut to fit right on site.